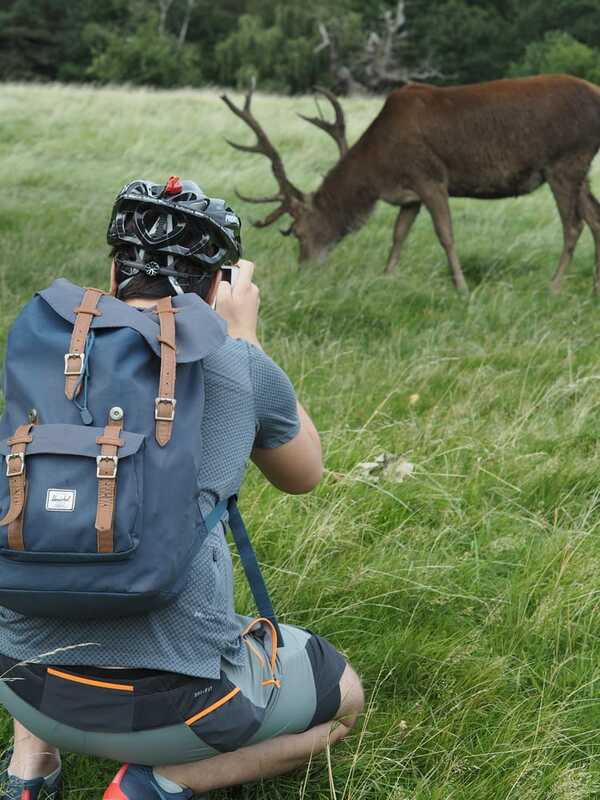 Fantastic London deers and where to find them | T.S.O.H. OK, the title is a slight copy of the latest book - and movie - of my 'dearest friend' J.K Rowling but I am sure she doesn’t mind that. If you haven’t read the book, head IMMEDIATELY to Amazon. 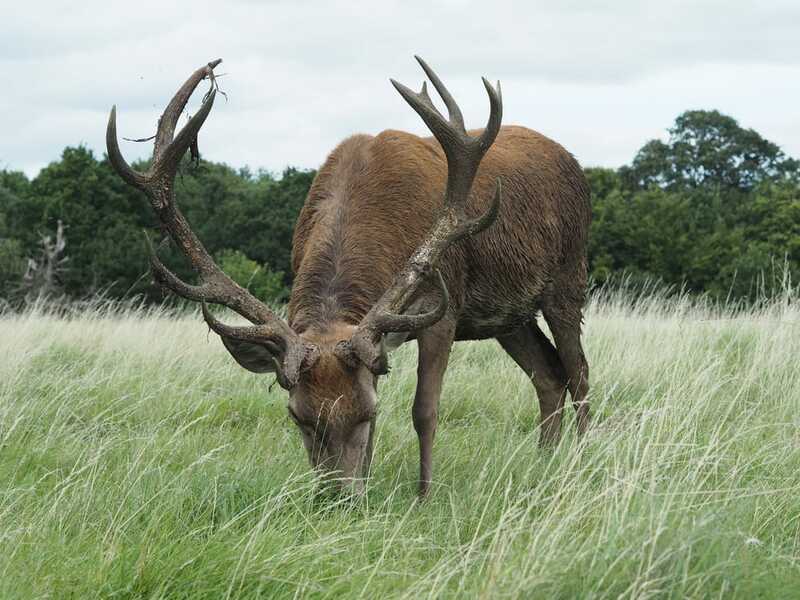 Anyhow this blogpost isn’t about Hogwarts and beasts - that one will come next week -, it is about the beautiful London deers and where you can find them. 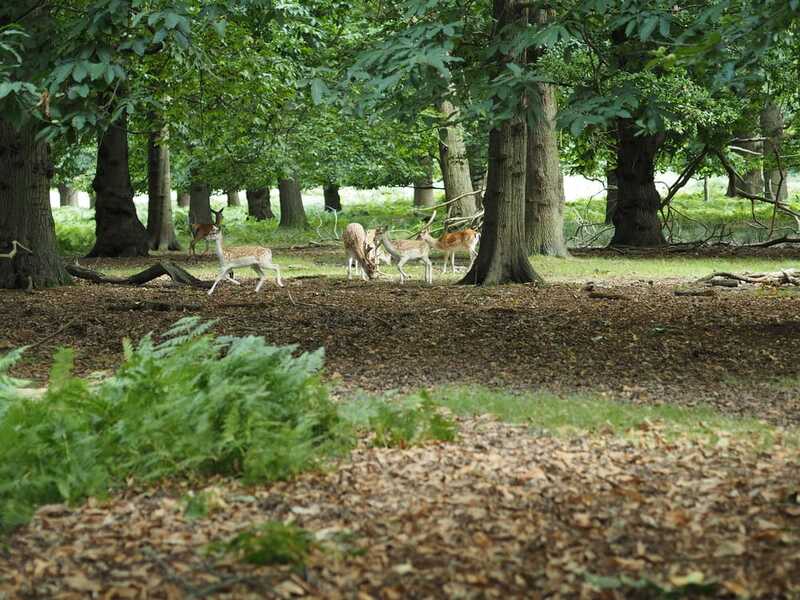 I have been to Richmond several times in the past few years, yet I never went deep enough into the Park to see deers. Regardless it have been on my bucket list for the past 5 years. I finally took the plunge and rode with my beautiful city bike from Chiswick to Richmond. Richmond always reminds me of little Brighton without the beach. Lots of small boutique shops and restaurants. 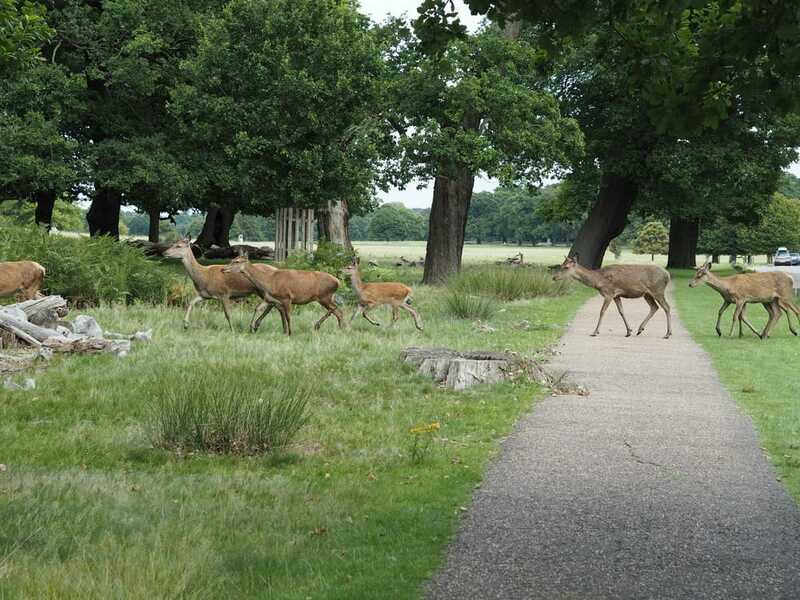 Richmond park can be reached by car, bicycle or foot. You have to go steep uphill from the town centre, so if you own a leisure girly Holland bike like me, you probably want to push it. After an hour of biking from Chiswick to Richmond, I was too exhausted to push up my heavy purple bike anymore so my fabulous boyfriend agreed to exchange my bike with his. He owns the lightest 'tour de france’ kind of bike. If you are or know a bicycle designer, how about a Holland bike in the weight of a sports bike? Thank you very much. Once you reach the park, there are serval entries. I perviously asked in Richmond where I could find the deers and got laughed at. Obviously they are free animals in the park, so they could be everywhere. A lot of older people walk their dog in Richmond Park for hours. Best to ask one of them if they seen any deers on the day. We only rode for a few minutes before we seen our first deer - surrounded by people who tried to get as close as possible for a picture. Last year I travelled to Argentina to see penguins. This is where I learned how to approach wild animals without scaring them away. Always stay low and never approach them from the back. This one must have been used to 'tourists' as they he hasn’t very bothered by all the people. In the middle of the park we seen another 3 groups of deers and a lot of small ones jumping in-between trees. Richmond is located in Zone 3 of London, however it felt like I was hours away from London and the big city troubles. A nice touch after a stressful week. *If you don’t own a bicycle you can rent bikes along the river near the restaurants. I wouldn’t ride with a Santander around the park as there aren’t any concrete paths. 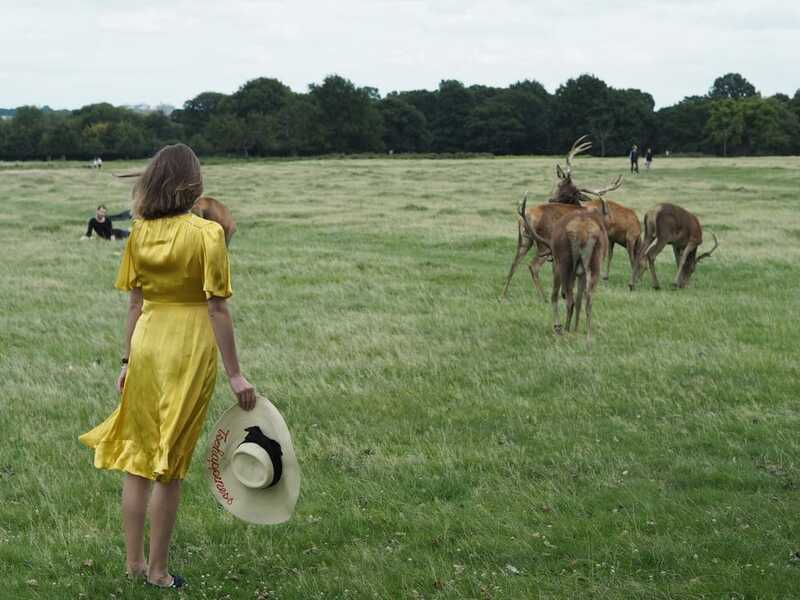 *Speak to people with dogs to find groups of deers. *Pack snacks and drinks, there aren’t any shops around. *Check for ticks after. 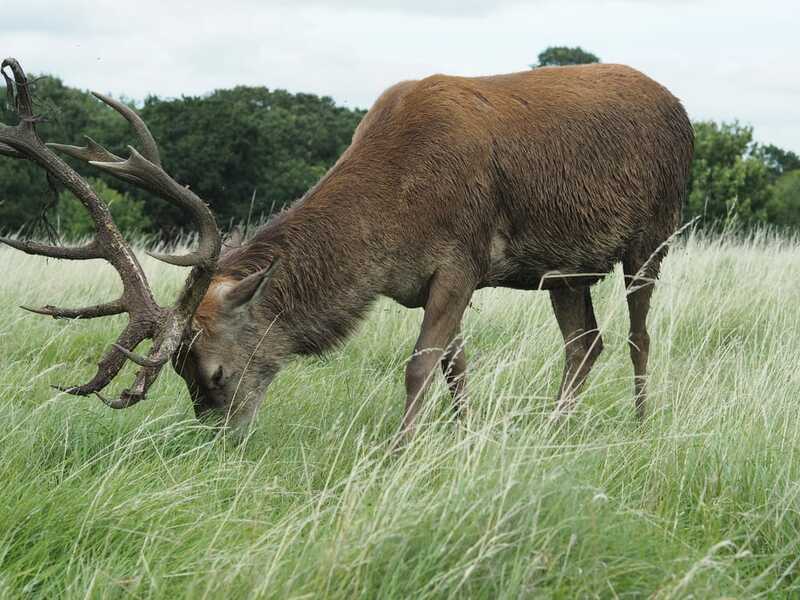 Ticks and lyme disease are present in Richmond Park due to the wild animals. If you find a tick, remove them and keep an eye on the bite. If you start to feel ill or a ’bulls eye” is showing up around the bite, see your GP. Lyme disease can be treated early with a course of antibiotic but can end fatal if not treated. *Bring a good camera lens. The picture opportunities are amazing.